Antislip offers a range of solutions to combat the risks of highly polished or wet floor surfaces, internal and external. The consequences of a slip or fall can be disastrous both to a person’s health and to their finances. Liability is also an issue, business owners need to be confident their floors are slip and risk-free. We were asked to build them a dynamic website which would be responsive across all devices and have an e-commerce platform. The site has a full-width slider, which cycles through video of different locations, which could seriously benefit from using Antislip Solutions such as airports, offices and other public spaces. Different statistics relating to slips, trips and falls are overlayed on top to accompany each slider. 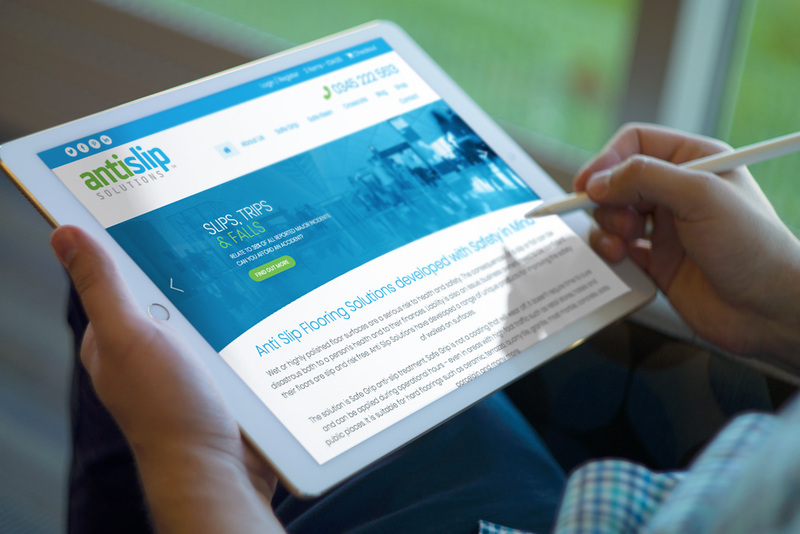 Below is a brief introduction to Antislip and the benefits of using their products. The products themselves are displayed lower down the page, with the option to add to your basket beneath each description. The site also has a dedicated shop page which can be sorted by popularity, ratings and price. 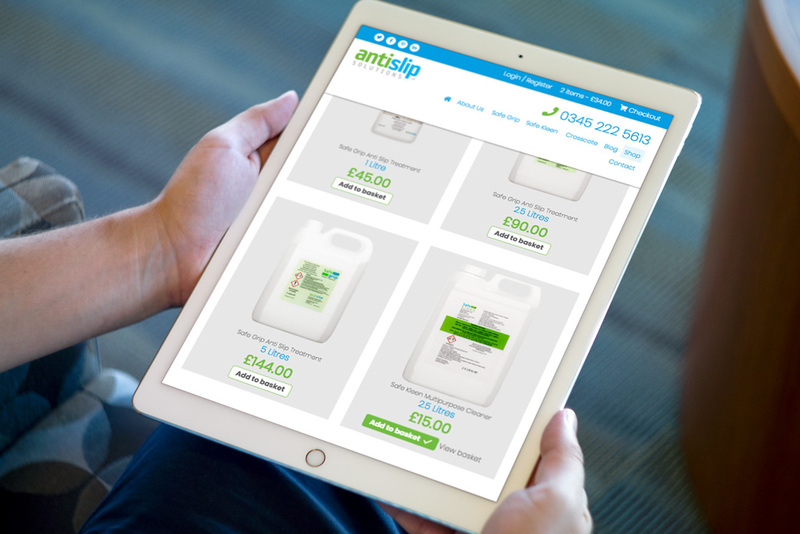 Antislip’s products are divided into 3 different products; Safe Grip, Safe Kleen and Crosscote. Each has its own dedicated page, which goes into detail about the applications and uses relevant imagery, which matches the brand colours. 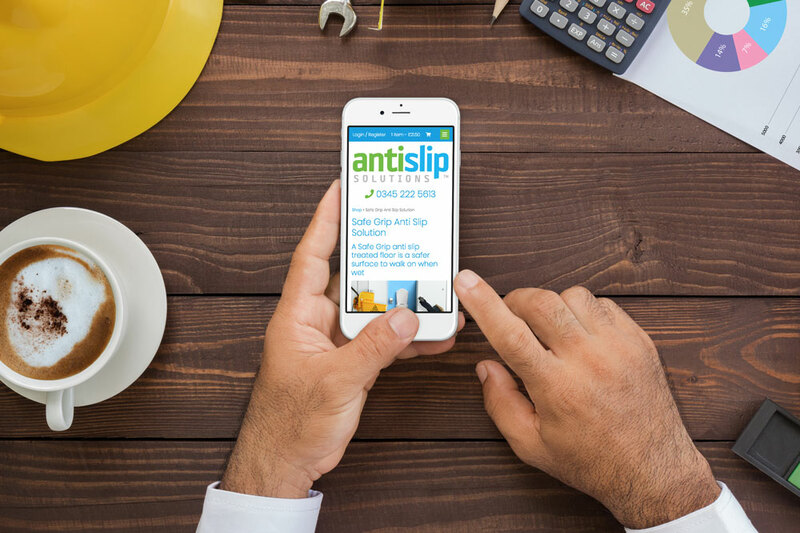 Find out more about Antislip on their brand new website.